If there was ever any doubt that it's advertising's world and we just live in it, that doubt should have been erased with the announcement, earlier this month, that a radio station in Madison, Wisc., had sold the naming rights to its newsroom to advertisers. Starting jan. 1, the newsroom for WIBA radio will morph into the Amcore Bank News Center. For journalism, that apocalypse we always talk about being upon us may really, finally be here. Or has already been here: The Associated Press reports that a Milwaukee station sold its naming rights to another bank, Pyramax, in 2004. Monica Baker, Pyramax's senior vice president of marketing, told The AP that it was just a matter of the bottom line. "This is a way for us to maintain our revenue levels and make the station successful," she said. "The concern about any possible conflict of interest is just ridiculous." But there's much room for concern among journalists, and there should be with the public as well. The Pyramax and Amcore deals don't just smudge the line between news and advertising, they cross the line with blithe ruthlessness and a reflexive justification on grounds of fiscal responsibility. Such alliances are a problem for anyone hoping for news outlets separate from the corporations that those outlets must sometimes cover. Company brands on news broadcasts aren't really new. David Klatell, vice dean at Columbia University's Graduate School of Journalism, told teh AP that the practice was discontinued in the 1950's, after such broadcasts as the NBC evening news broadcast featured the orange and white Gulf Oil logo on the set. The problem NBC brass must have figured out then, Klatell noted, is the same issue they'll be forced to wrestle with this time if the trend continues. "They couldn't fairly cover not only Gulf, they couldn't cover anything that was relevant to the oil industry or its competitors." As more and more American companies engage in the reverse mitosis of mergers and acquisitions, bulking up by conusming their smaller rivals (witness the new AT&T, happily digesting what was once SBC), the inevitability of conflict of interest is obvious. Consider the range of divisions of just some of the country's leading communications companies: from theme parks to magazines, from aircraft engines to the 50-gallon water heater I plan to buy for my home. With a range of interests like that, it's obviously hard enough to maintain some degree of editorial independence when stories even peripherally related to a parent company's bottom line cross the editor's desk. You could imagine, for example, the dilemma of reporting a story on faulty aircraft engines implicated in a series of deadly airline crashes when your network's parent company makes the engines in question. That dilemma is that much more transparent when you've branded your news product with the name of your biggest advertiser. Those newsrooms in Madison and Milwaukee can only hope they don't have to deal with any banking scandals tied to anyone working for Amcore or Pyramax banks. But that's the easy call; how will they handle stories on the banking sector in general? Can they be counted on to report news about other banks as aggressively as they'll cover news related to Amcore or Pyramax? And how do these news departments handle the issue of professional integrity, namely, the matter of not just avoiding conflict of interest but also avoiding the appearance of conflict of interest? That's a matter that two newsrooms, for now, are grappling with. The deeper, bigger question is, what happens in the future. 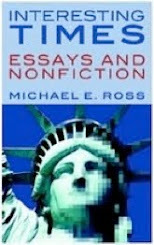 But with advertisers increasingly challenged to find a way to get into the public mind and stay there, with corporations increasingly challenged to hit their numbers, with news outlets increasingly challenged to inform the public and bludgeon their competition in the process, the Brought To You By News of the past may well be a worrisome development to come. So there I was at at the Apple Store at University Village on Christmas Eve, internally debating which vision of the digital future of entertainment I should endorse with my dollars. Which way to go: Video iPod or Nano? Lately there’s been a lot of press about both of them. The Video iPod got attention because of its video capabilities; the nano was rightly heralded as an advance in miniaturization that other music-player manufacturers would come around to, sooner or later. I checked them both out thoroughly, mostly with that touchy-feely, tactile sense of validation we use before making any big purchase (one reason I wasn’t overjoyed at the prospect of waiting to get one in the mail). The nano’s reputation for sleekness is well-deserved; you could easily forget you had the thing and lose track of its location. There's a charm aspect to the nano that tries hard to make it seem irresistible, especially to younger buyers of leisure technology. Likewise, the video iPod has garnered a lot of attention for the video feature, which, depending on the degree of your addiction to television, may or may not be the coolest thing. Both devices have their champions and their audiences. But there in the Apple Store, it was my turn to decide. Which paradigm would get my dime? Then, in an instant -- in one of those flashes of thought that could be insight but is probably more just a spendthrift shopping as shrewdly as possible -- the decision became crystal clear, as clear to me as I suspect such decisions will be for others in the future. Like others, I too had fallen in love with nano: its sleek shape, its almost invisible size. But when the rubber met the road, I began to suspect something was amiss. First, it was a matter of cost efficiency. The nano I intended to buy would let me carry about 1,000 songs on a 4-gigabyte hard drive. Cost: $199. 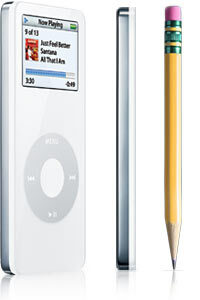 The video iPod, on the other hand, allowed for downloading 7,500 songs on a 30-gigabyte drive. The larger size of the video iPod wasn't important. But the cost? $299. Clearly you dont have to be a math major at MIT to see which device, on a dollar-per-gigabyte comparison, is the better value. And then there was the other matter to be considered. Let's call it the vision thing. The nano, despite its cuteness factor and the buzz that preceded its arrival into the culture, is effectively no more than taking us where we've already been -- where Apple's already been. The nano is a clever sonic tweak of the original iPod technology, a smart rehash of the model launched in 2001 -- but still a rehash, one that doesn't advance that original technology with anything more than size. Setting aside the early hosannahs for nano, I've got the suspicion that other late adopters are likely to come to the same conclusion. Not to rain on Steve Jobs' parade, but the nano of 2005 may well go the way of the iPod mini in two years' time: slowly but reliably phased out, ushered to the back of the universal serial bus. The video iPod, with its capacity for downloading videos with the same ease as downloading music, is the trailblazing device, the one that networks and music websites will be retooling for in the future. NBC and ABC have already started that process: NBC makes downloads of the "Nightly News" available free, while ABC offers up downloads of "Desperate Housewives" and "Lost" for about $2 each. 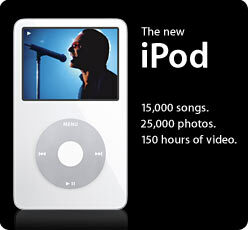 As the driver of an online business model, the video iPod had it nailed. At least that's what I thought as I walked to the counter, debit card in hand, eagerly anticipating my ticket to the cutting edge. At least until Apple comes up with something new. Think they won't? 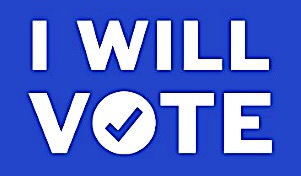 You watch; they will. It was Dec. 8, 1980, early in the evening in Boulder, Colorado, and I'm sitting in my bedroom at the foot of my bed with Marjorie, my next-door neighbor and infatuation of the moment. With my roomies sitting in the next room noisily watching ABC's "Monday Night Football," I kissed Marjorie for the first time; we necked and snuggled and considered the possibilities of spending some big percentage of our lives together; and then we heard, with the door not quite closed enough, the unmistakable voice of Howard Cosell telling us, telling the world, that John Lennon was dead. Things started to turn sour for me and Marjorie from almost that moment on. It took a while to fully play out, but our romantic fortunes went downhill -- which shouldn't have been surprising. One way or another, things went south for all of us from that day on. Some mile markers in life are unavoidable, like road obstacles that are too big to drive around. There's no escaping them when they happen or even years later. There's behavior that's common to our species -- or maybe just particular to our era: we tend to measure the gravity of events in the context of the terminal. We all have our stories of where we were when John F. Kennedy was assassinated, or Malcolm X, or Martin Luther King or Robert Kennedy or Yitzhak Rabin. John Lennon joined that pantheon of eternals, but in a slightly different way. Lennon always had an edge about him. In his life as a Beatle and afterward, there was a sense of the precipitate, the volatile about John Lennon. More than any of the other Beatles -- the often-sullen George, the relentlessly chipper Paul, the phlegmatically loyal Ringo -- John embodied rock and roll's potential for unalloyed danger, that feeling you get in the best rock music of careening headlong into a new and strange place -- and not being frightened by the prospect in the least. Long before that nightcrawler trapped him in the vestibule of the Dakota, John Lennon wore a target; it's been said that years before the Beatles exploded, when he was still playing with the Quarrymen, blokes in his Liverpool neighborhood wanted him hurt, or worse, for reasons we can only guess at now. His was rock and roll's first outright assassination. With his killing, legions of fans got the wake-up call they'd been dreading, or avoiding, at least since the Beatles broke up a decade earlier. And it was hard to let go. It was, and still is, hard to give up that giddy frisson of the Beatles' first performance on the Ed Sullivan Show, when four shaggy knuckleheads in suits landed in a country numb from the loss of Camelot about nine weeks before they arrived. The audience that night, its screams like a flock of crazed birds, was a taste of the future. The screams followed them around the world for six years -- the reaction of fans who lost themselves in a music and a style and a world-view that began the transformation of popular culture. Not long after the bottom fell out of the Beatles, in 1970, Lennon was warning us. Telling us in his fashion to get ready. Be prepared for anything. Grow up. "I don't believe in Beatles," he told us in the song "God." "The dream is over." Lennon was teaching us to grow up even while, paradoxically, he was growing up himself. There were dalliances for a time when things with Yoko went badly. He hangs out with Harry Nilsson in L.A. He and Harry get tossed out of the Troubadour for heckling the Smothers Brothers. He goes to another nightclub and gets upbraided by a waitress for wearing a tampon on his head. He learns the process of starting over. We're lucky that the fruition of that process was something positive. Rather than an obituary of a rock star who passed from the scene with a spike in his arm or a shotgun to his head, we got from John Lennon the evidence of his mellowing, his maturity. 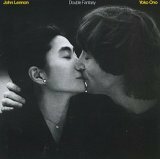 You can't listen to "Double Fantasy" without hearing that growth process in the works; like a butterfly fighting its way out of a cocoon, John and Yoko were fighting to regain their own identities -- regain, hell! maybe fighting to just have identities separate from those foisted on them by the media, the music biz, and always, always, the fans. We got a taste of that great possible. But only a taste. Now, a quarter century after Lennon died -- sounds tree-ring strange saying "quarter century" -- we're in some ways more in need of his candor, his wit, his passion, than we ever were before. John Winston Ono Lennon remains an indelible spirit of our times, a man whose wrestling with demons within and without has made our own caged match with reality a little more bearable. It's a real tribute to someone's life when you find that you miss that person, need that person, feel that person's presence more and more as time goes by, not less. John Lennon was a rock dropped into the water of our time and our lives, and the ripples from that rock get stronger and stronger all the time, the further and further we get from their source.